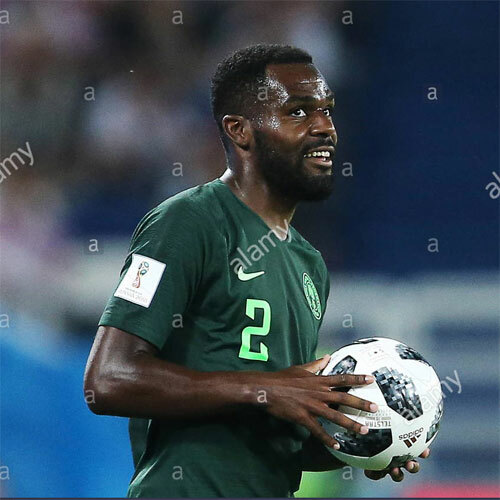 Lokomotiv Moscow defender Brian Idowu has revealed that he was not expecting to be called up to the Russia National team before his international debut for the Super Eagles in November 2017. Idowu was born in St. Petersburg to a Nigerian father and a mother who is half-Russian, and was eligible to play for the 2018 World Cup hosts prior to his maiden competitive Nigeria appearance against Croatia. The versatile fullback has pointed out that the presence of Rausch, Kombarov and Nabiullin in the Russian setup prevented him from getting a call-up before manager Gernot Rohr and the Nigeria Football Federation convinced him to pledge his allegiance to Nigeria. “I don’t think about it now. Russia has Konstantin Rausch, Dmitri Kombarov, Elmir Nabiullin – they can all play in this position,” said Idowu to Izvestia. Idowu says Russia did a god job of hosting a near flawless 2018 World Cup, adding that he advised fans and journalists to calm their fears before the start of the tournament. “It did not surprise me how Russia was able to treat the teams and fans during the World Cup. “Shortly before the World Cup, we went to London to play against England. There, Nigerian fans and British journalists asked me about Russia. Idowu has featured in 10 matches for the Super Eagles since debuting against Argentina in a friendly held in his country of birth.